Please type your desired tags, e.g. Inorganic, Geoscience, Mathematical Science, MRI, Epigenetics, GRO-seq, Publishing, Information Systems, Conflict Management, Marriage, Gifted & Talented Education, Gender Studies, Form, Craft, and Genre Gender Studies, Genre theory, Games Development, and etc. Otitis media, auditory processing, and language: Research controversies. 2002–2002	Roberts, J .E., Htmter, L., Dollaghan, C.A. & Campbell, T.F. (2002, November). Paper, American Speech-Language-Hearing Association Annual Convention, Atlanta, GA. Speech movement characteristics in children with speech delay. Early vs. late tube placement for persistent middle-ear effusion (MEE) in the first 3years of life: Effects on language, speech sound production and cognition at age 3 years. 2000–2000	Paradise, J. L., Feldman, H. M., Campbell, T. F., Dollaghan, C. A., Colborn, D. K., Bemard, B.S., Rockette, H. E., Janosky, J. E., Kurs-Lasky, M., Pitcairn, D. L., Sabo, D. L., & Smith, C. G. (2000, May). Pediatric Academic Societies and American Academy of Pediatrics Joint Meeting, San Francisco, CA. Speech abilities of young children following severe traumatic brain injury. 2001–2001	Nash, T., Campbell, T.F., Rusiewicz, H., Balason, D., Dollaghan, C. & Adelson, D. (2001, November). Poster, American Speech-Language-Hearing Association Annual Convention, New Orleans, LA. A normative growth curve for assessing change in pediatric speech and language skills. 2005–2005	Campbell, T.F., Dollaghan, C.D., Janosky, J Adelson, P.D. (2005, June). Poster, Symposium on Research in Child Language Disorders, Madison, WI. Member, School of Health and Rehabilitation Sciences Space Utilization Committee, 2001-2004. Member, Department of Communication Science and Disorders Committee to develop a proposal for a clinical doctorate in medical speech-language pathology, 2000-2004. Member, Department of Communication Science and Disorders Financial Aid Committee, 2004. 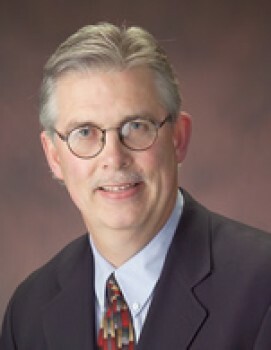 Member, Department of Pediatrics Faculty Search Committee for the Director of the Child Development Unit, Childrens Hospital of Pittsburgh, 2002-2003. Chair, Department of Communication Science and Disorders Clinical Coordination and Curriculum Committee. 1998-2000. Coordinator, Department of Communication Science and Disorders Clinical Forum Series, 1998. I completed my BA and MA in communication disorders at the University of Nebraska-Lincoln, and my PhD in communicative disorders from the University of Wisconsin-Madison. I spent several years as a speech-language pathologist and researcher at the Glenrose Rehabilitation Hospital in Edmonton, Alberta, Canada where I conducted studies of the speech and language skills of children recovering from traumatic brain injury. From 1987 to 2006 I was a faculty member in the Department of Communication Science and Disorders at the University of Pittsburgh, and the Director of Audiology and Communication Disorders at the Children’s Hospital of Pittsburgh. At the University of Pittsburgh and Children’s Hospital I participated in a number of NIH funded projects including longitudinal studies of developmental outcomes in children recovering from severe traumatic brain injury and in children with and without histories of middle ear effusion. I also conducted studies on the physiological development of speech in typical and atypical speakers. In August 2006, I joined the faculty at UTD as a professor in the School of Behavioral and Brain Sciences and Executive Director of the Callier Center for Communication Disorders. My research will continue to focus on the identification of physiological, environmental and genetic variables for the early identification of speech and language disorders in children. 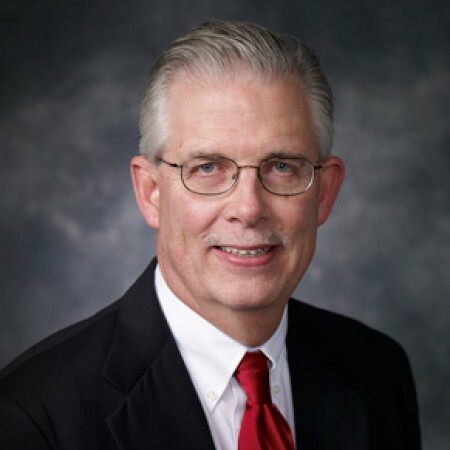 The University of Nebraska will honor Dr. Thomas Campbell, executive director of the UT Dallas Callier Center for Communication Disorders, for a long record of research and academic achievement at the university's annual Alumni Masters Week. Beginning this weekend, Campbell and seven other honorees will spend three days interacting with students and faculty in Lincoln. The honorees will discuss their educational and professional experiences and describe how their years at Nebraska helped shape their careers. Campbell is the Sara T. Martineau Endowed Professor in Communication Disorders in the School of Behavioral and Brain Sciences (BBS) at UT Dallas. His current research focuses on identifying physiological, environmental and genetic variables to detect speech and language disorders in children with communication disorders. The Academy of Neurologic Communication Disorders & Sciences (ANCDS) honored Dr. Thomas Campbell, executive director of the UT Dallas Callier Center for Communication Disorders, at its 2008 annual meeting recently. Campbell was recognized for his long history of accomplishments and extensive research in the field of neurologic communication disorders in children. ANCDS Honors Committee members called Campbell a “humble teacher and a terrific role model.” Held in Chicago, the meeting brought together professional, clinical, educational and scientific academy members who focus on neurologic communication disorder research and quality-of-life issues for affected adults and children.In conferring the Academy’s highest honor, Campbell’s colleagues cited his blend of clinical and professional service, his scholarship, administrative skills and his professional camaraderie. Dr. Thomas Campbell, executive director of the UT Dallas Callier Center for Communication Disorders, has been named first holder of the Sara T. Martineau Professorship in Communication Disorders. David Martineau established the endowed professorship in honor of his wife, Sara, a longtime supporter of UT Dallas and a past president of the Callier Center foundation board. “Sara Martineau and her husband, David, have been wonderful supporters of the Callier Center over the years,” said Campbell, who also is a professor in the UT Dallas School of Behavioral and Brain Sciences. “I am honored to be the first recipient of the Martineau Professorship.” An expert in the field of neurologic communication disorders, Campbell has focused his research on understanding the environmental, physiological and behavioral markers that underline speech and language disorders in children. 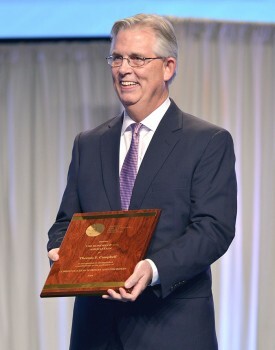 Dr. Thomas Campbell, executive director of the Callier Center for Communication Disorders and a professor in UT Dallas’ School of Behavioral and Brain Sciences (BBS), received the American Speech-Language-Hearing Association’s (ASHA) highest honor during the group’s national convention this fall. Campbell was awarded the Honors of the Association, which recognizes ASHA members for their distinguished contributions to the discipline of communication sciences and disorders. Members nominate individuals whose contributions have enhanced or altered the course of the profession. RICHARDSON, Texas (Sept. 12, 2006) — Saying “the time is ripe to create new initiatives that deal with highly needed research, education and service,” Dr. Ross J. Roeser will step down as executive director of the acclaimed Callier Center for Communication Disorders at The University of Texas at Dallas (UTD) effective Oct. 1. Roeser will be replaced by Dr. Thomas Campbell, currently director of the Department of Audiology and Communication Disorders at Children’s Hospital of Pittsburgh and a professor in the Department of Communication Science and Disorders at the University of Pittsburgh. Roeser has been at the center, which is renowned for its clinical, educational and research programs in communication disorders and is part of the university’s School of Behavioral and Brain Sciences, for more than 35 years. 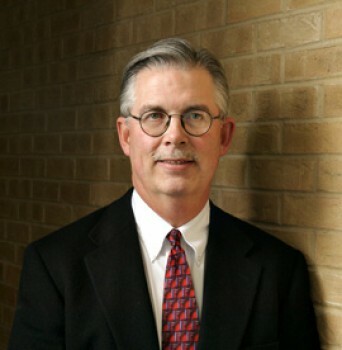 He has served as its executive director since 1988. Speech change in children after traumatic brain injury. University of Pittsburgh Center for Leadership in Disabilities (UCLID) Training Project.